The movie theather “Colosseo” which is based in Milan was inaugurated on 8th of April 1927. It was built according to a project by the architect Rimini in a style that recalls Roman art. After a radical rennovation works in 1988, the Cinema Colosseo re-opened with 3 rooms for a total capacity of 1071 seats and again in 2005 the rooms increased to five, for a capacity ranging from 60 to 360 seats, and are named after the cities well-known film festivals such as Venice, Cannes, Berlin, Sundance, Locarno. It has been focused a lot on comfort, spacious and spaced armchairs, and on programming that continues to have an eye for quality cinema. Today LED technology has been integrated into the architecture, which has maintained over the years the appeal to Roman art, offering a dynamic and impactful communication while maintaining the elegance and style of the environment. The product used in the installation is Mobilis 3.9 specifically suitable for indoor applications as well as being excellent for design and quality. 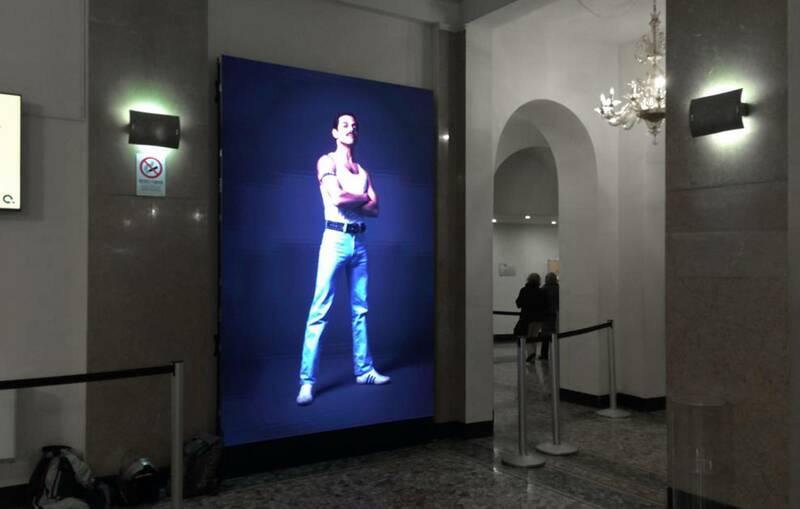 More than 1000 nit brightnes and nitid viewving of the screen even from close distances have made it the most suitable product for this important and historic Milanese cinema.